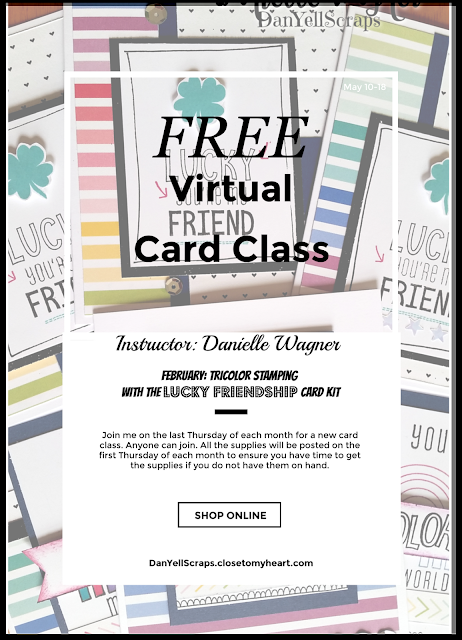 Live Virtual Card Classes! YES, PLEASE! Brand new for 2019, Virtual Card Classes! Today I have ALL the information you will need on the who, what, where, when and why! to Get Started, I would invite you to join my business page on Facebook where all the classes will take place! 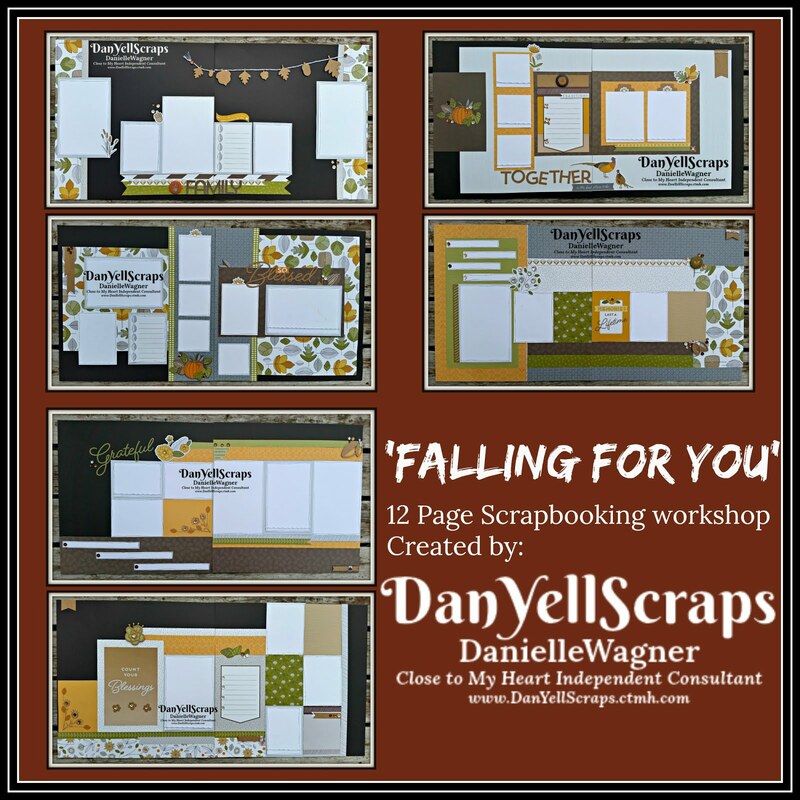 DanYellScraps - Virtual Classes Remember to turn those notifications on so you do not miss a class! Your instructor each month will be myself, Danielle. 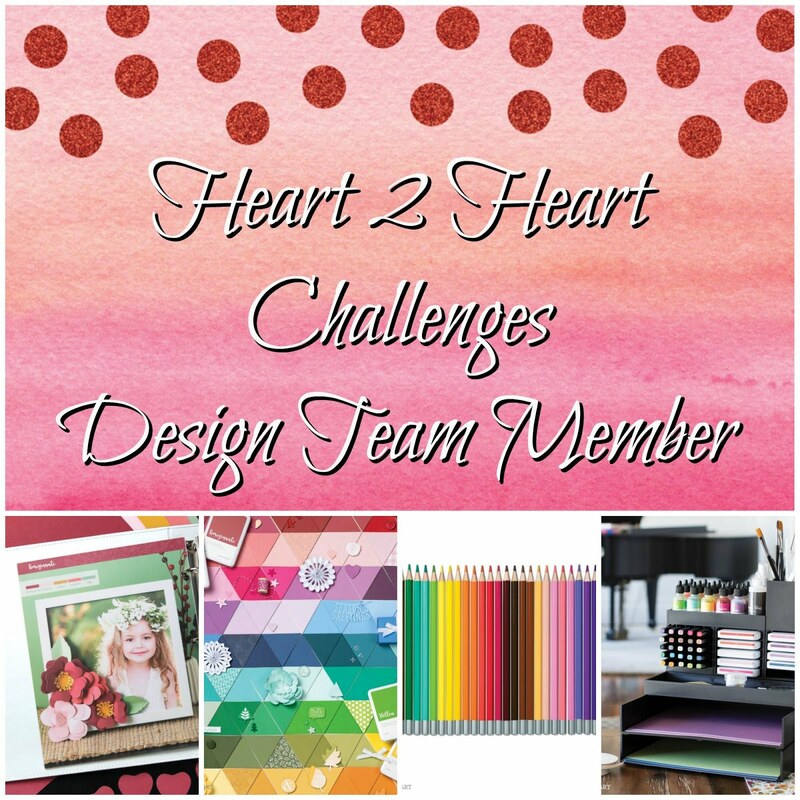 I have been with Close to My Heart as an independent consultant for 5 years. While being with the company I have enhanced my crafting skills, and moved up to Supervisor. 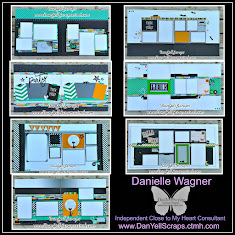 I am a stay at home mother of four kiddos, and when we are not working on our homeschool, you can find me sneaking off to my craft area to get a little work in. It's not really work if it is fun, right! 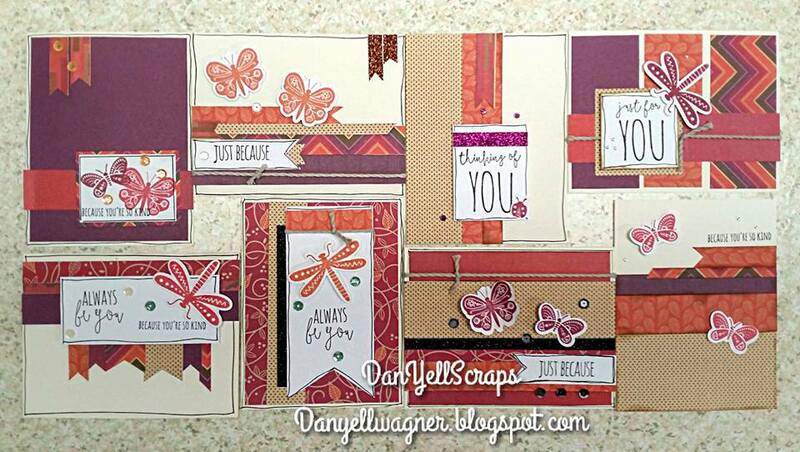 A FREE live card class, that will feature a technique, design, and or product, spreading craftyness across facebook! The live feed will be downloaded to YouTube and posted here, so if you do not have facebook or the date and time do not mesh with your schedule you will still be included! No purchase necessary, however I will always post a supply list so that you can shop if you need or want before the class. 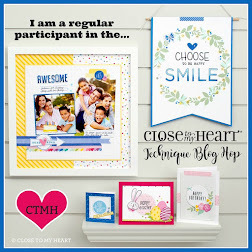 The first THURSDAY of each month I will post a supply list with the feature technique along with artwork samples of what the live class will be (this will happen on the last THURSDAY of the month). 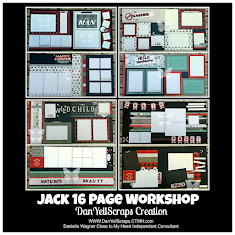 You will have plenty of time to shop if you'd like so you have all the supplies on hand to create during the class. Do you need to bash your stash, if so start with your stash. The LIVE class will happen the last THURSDAY of each month at 8pm ET and feed from my Facebook Page linked above. Everyone is welcome to craft right along, as the class is FREE, YUP no purchases necessary. During the class if you have questions, I can answer them live. 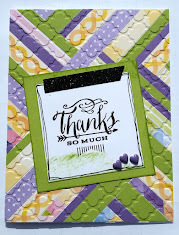 The why is because I love to share, and I am stay at home mom, who enjoys the company of like minded crafty peeps! FREE because I understand the importance of a budget in this multi-million dollar industry. 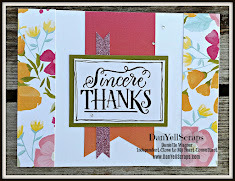 As a scrapbooker at heart, and a cardmaker by day, I often find myself going live on my Facebook Page, I really love being able to interact with everyone and thought a card class would be a great addition! So are you ready for the first class? 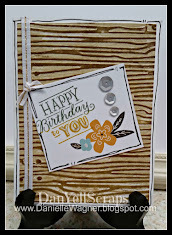 I thought so, without further ado I bring to you February's FREE Virtual Class! 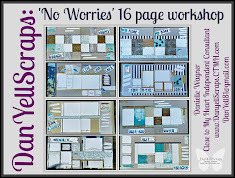 Join the Class here, invite your crafty buddy's too! 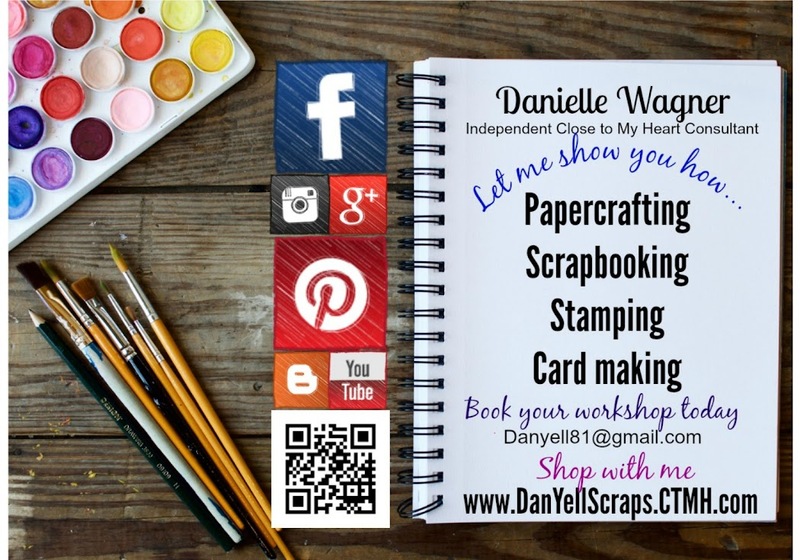 I cannot wait to craft with you and your friends on Thursday February 28th 2019 LIVE on Facebook. * I receive a small compensation from any purchases made via the above links, this at no additional cost to you. My family is blessed by your support and we thank you from the bottom of our hearts!